The Family Table with Genevieve: Friday Favorites......Target Style!! TGIF!!! Gosh I am so excited it is Friday! I have been travelling for work since Sunday and am so looking forward to catching up with my crew!! 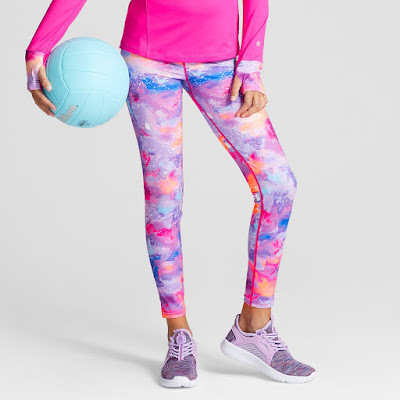 So I am linking up with some of my favorite blogging friends, Andrea, Narci, and Erika for Friday Favorites....Target Style! I am a sucker for a striped tee. This one is in 4 color, but I am partial to the black and white. I love this shirt, but it's on clearance now...so hopefully you can still grab it! I love a little pop of animal print. This cardigan would be adorable with black pants or jeans. Ruffle details are all over this year and this sweater has the right amount of ruffle for me. You can dress this up for doing out to dinner or wear with distressed jeans on the weekend. Did I mention I love stripes??? I do, and this sweater speaks to my heart! 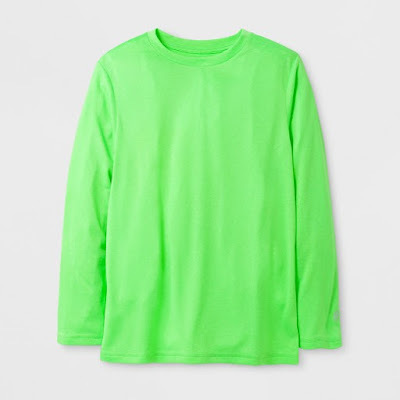 This sweatshirt looks like one you may put on and never come out of. 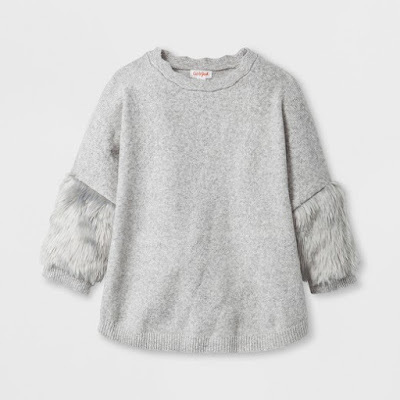 It looks so cozy and also comes in blush...which is adorable. I don't really think you can ever have too many scarves. Especially with this classic looking black & white one! 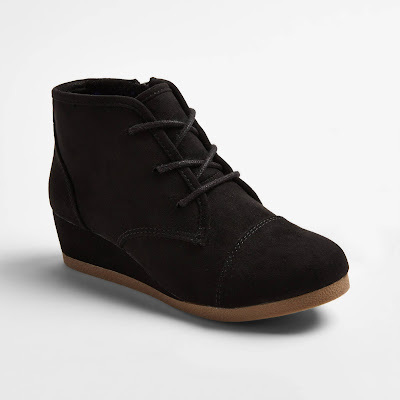 These booties are so cute and a total dupe of the Lucky Brand at half the price.The grey is a great neutral to have. If you're anything like me...it's really hard to walk by the girls' section of Target without taking a peek. It's probably why the department is at the front and you have to walk by it to go get the laundry detergent you came in for! These are a few of the girls' things that have caught my eye. My Ella loves the cold shoulder look. We got this dress in store, and I linked a similar one online. And these are the booties she is wearing. They have the cutest wedge heel (not too high!) She has them in black, but they also come in tan and navy. I love these jeans! 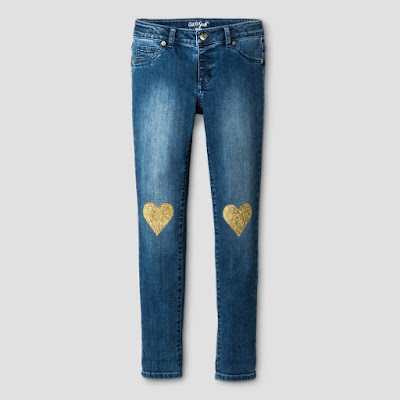 Jeggings with gold glitter...how can you go wrong?? I am a huge fan of the C9 line. 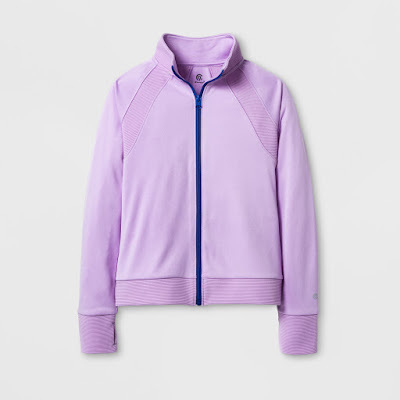 I love the color of this jacket. How cute would that jacket be with these pants?!? 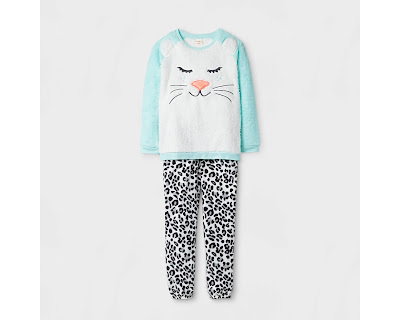 Um...I kind of want these PJs for myself! Adorable and cozy! These pants are the best. Sporty, comfy, and under $10. They come in 4 colors and you should probably just go ahead and order all 4. This long sleeve tee also comes in 4 colors...to match your 4 pants! I always grab Luke one of these pullovers. 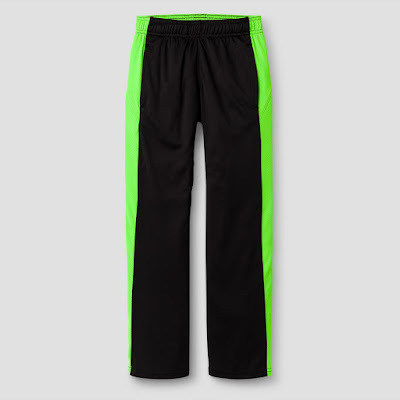 They look a little dressier than a hooded sweatshirt, but still look sporty enough for him. Every boy needs a good plaid shirt. I am also loving this long-sleeved polo. And since Luke is not a big fan of jeans or dress pants, these pull on pants seem to be a happy medium. Surprise...also in 4 colors! These shoes are the perfect mix of sneaker and shoe! I also had some favorite posts this week. On Tuesday we shared our favorite holiday...Christmas. What's Up Wednesday was a little peek into life this past month. 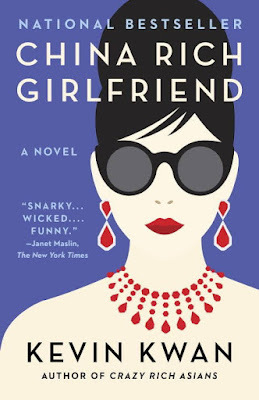 And yesterday I shared my October book review. I am so looking forward to the weekend at home with my crew! Have the best weekend friends. See you on Monday...there's always room for one more at our family table. I love it! Cute and on a budget!